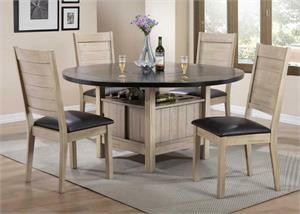 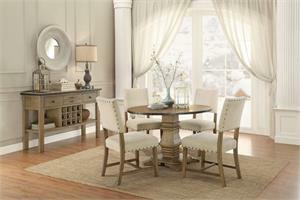 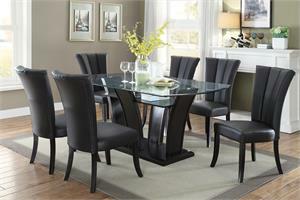 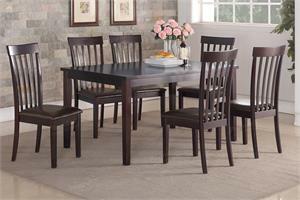 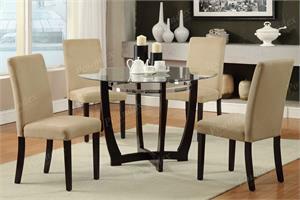 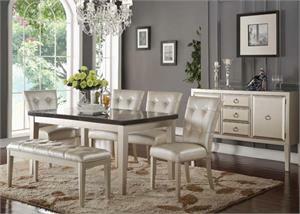 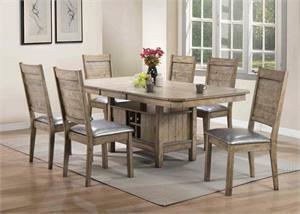 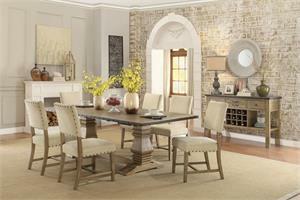 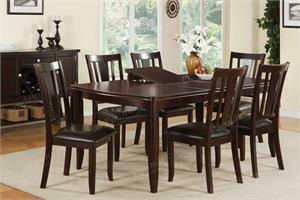 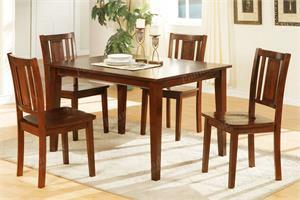 Simplicity dining is defined by this casual dining set with seating for six. 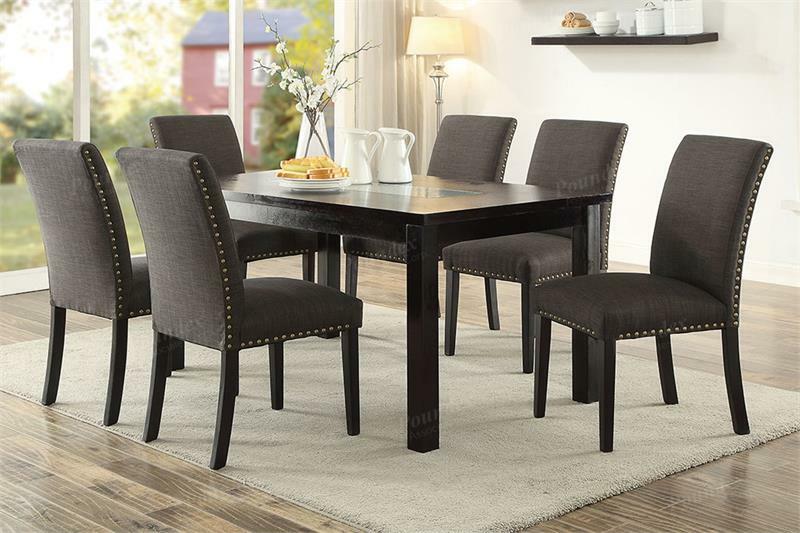 Each Parson styled chair features upholstered frame with stud trim and brown leg supports. 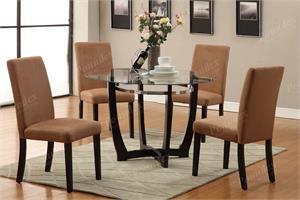 Wooden top table with 6MM tempered glass inserted.